Sometimes the stories are so strange, you’re sure they could only be fiction. When I first heard about the kangaroo hoodlums, I thought the story had been made up. But since then, I’ve seen the story on cbsnews.com and The Week. That means it has to be true…right? 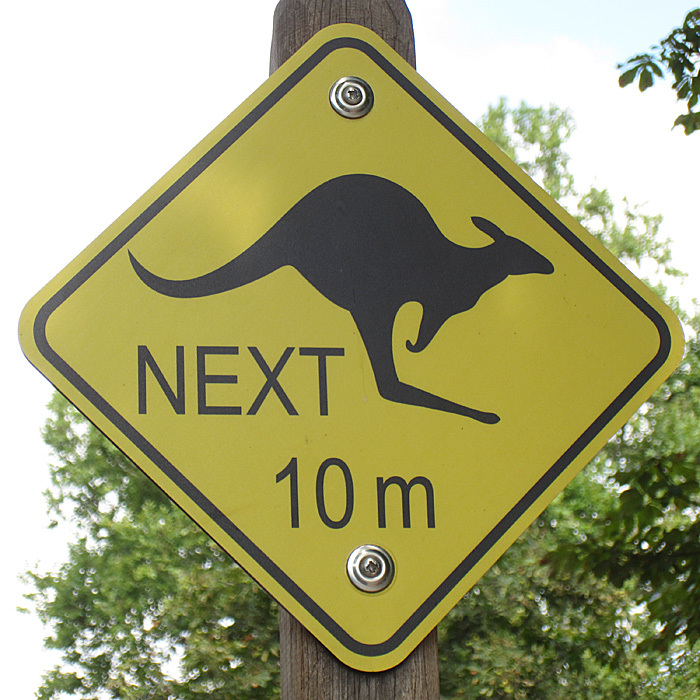 Apparently, the three hoodlum kangaroos escaped through not one…but two…fences at a German wildlife park with the assistance of a wiley fox and a hungry boar. The names of the kangaroos were Jack, Mick, and Skippy. The fox and the boar remain anonymous. As the three imprisoned marsupials looked on, the boar broke into the wildlife park by making a hole in the fence on the outer perimeter. The fox, being more sly and fit, took over from there. He (or she) slipped through the boar’s hole and made it’s way over to the kangaroo’s enclosure. While Jack, Mick, and Skippy banged their tin cups on the bars and made cat calls (fox calls? ), the fox dug a hole into their enclosure and the kangaroos escaped. Mind you, I have no idea how a kangaroo could fit into a hole dug by a fox, but…the details are sketchy. Click the photo to see the “Ugly Faces” gallery on SpiegelOnline. So what about the kangaroo hoodlums? Are they still on the lam? Nope, they were outfoxed by another wiley species…humans. You gotta give the kangaroos brownie points, though. They managed to travel over nine miles away from the zoo. The last one wasn’t apprehended until, in the words of the zoo’s deputy manager, “a very fit policewoman hurled herself onto the kangaroo.” Kind of makes you wonder…which one of the three kangaroo hoodlums held out the longest? Ohoho this world is so weird. And fascinating.